Ann Turner Cook has been famous since 1928. But you wouldn't recognize her face today. 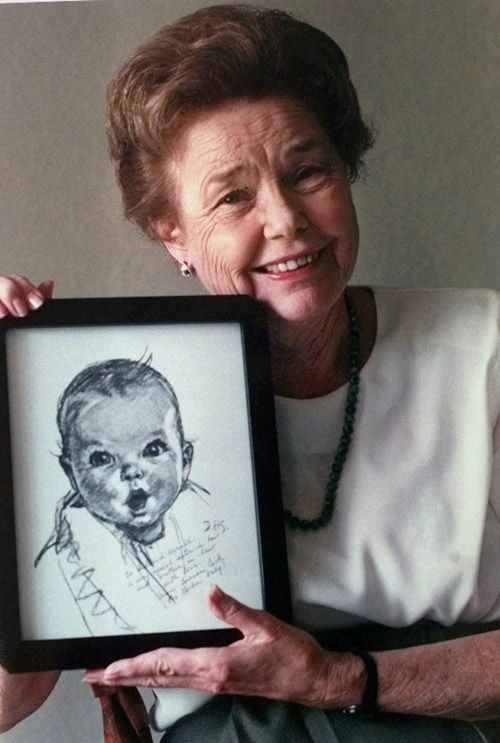 Ann Cook,became the first-ever Gerber baby when she was just four months old, has turned 90. She celebrated her 90th birthday on Sunday, and Gerber released a video to celebrate her big day. 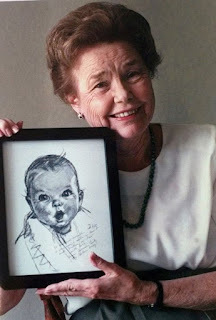 Back when she was an infant, a family friend in Connecticut made a charcoal sketch of little Ann. A year later, Gerber put out a call for images for its new baby food ads, and Ann's portrait won. Starting in 1928, her image was plastered all over Gerber products, and it became the official trademark in 1931. 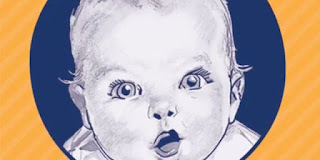 She has only made a little money from her association with the brand; in 1950, someone else claimed to be the Gerber baby, and the company paid Cook a lump sum to settle any issues over her likeness. Since then, Cook has celebrated Gerber's anniversaries in 1978 and once in the 1990s. She has spent her career teaching English and writing mystery novels. She is now a great-grandmother, and has remarked about how when her kids were young, they bragged about their mom whenever they were in the baby food aisle. This year, Cook celebrated her birthday with her four children and their spouses.